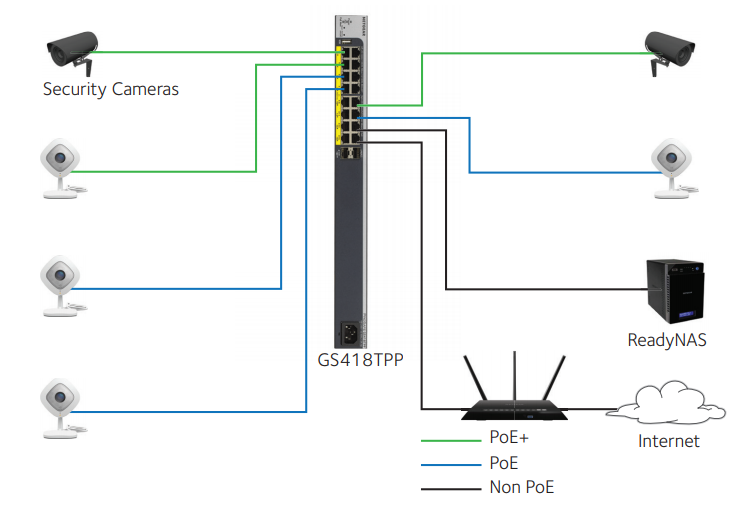 The GS418TPP Easy Mount 16-Port Gigabit Smart Managed Pro Switch with PoE+ and 2 SFP Ports is future-proof with 240W of PoE budget and ideal for “Virtually Anywhere” deployments. 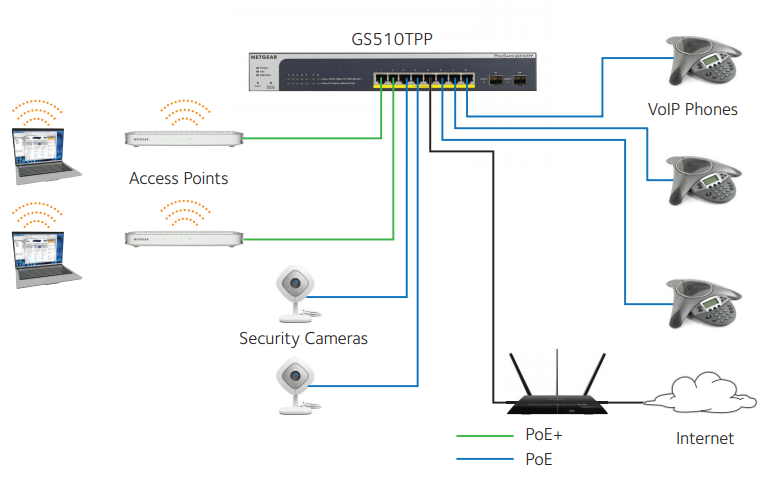 Slim design (3.94 inches, 10 cm deep) and mounting accessories allow for access point, IP camera or VoIP endpoint placement optimization and cabling efficiency even outside the rack. The GS418TPP supports Easy Mount quiet operation or rack mounting with a maximum of 33dB at full power and 25°C (77°F) ambient.